It was only a couple of days ago that Walmart - the largest retailer in the world in terms of both revenue and number of employees - announced that it has started selling the BlackBerry Priv in the US. In just a matter of days, it looks like Walmart has exhausted its initial stock. At the moment, we don't have any official numbers, but unless Walmart launched the BlackBerry Priv with only limited quantities available, this can be considered an indication that the BlackBerry Priv is selling well. Investors also appear to be satisfied with the commercial performance of the BlackBerry Priv. Since Walmart started selling the Priv on Wednesday, BlackBerry are up 10%. As per BlackBerry's Q3 earnings report, the company saw a 50% YoY decrease in smartphone shipments. As BlackBerry attempts to transition from a hardware to a software services company, the iconic smartphone manufacturer appears to have a lot riding on the BlackBerry Priv. In fact, according to BlackBerry CEO John Chen, the company is considering a retirement from the smartphone market should the BlackBerry Priv turn out to be unsuccessful. Fortunately for BlackBerry fans, however, these early signs show that the Priv, the company's first Android smartphone, is selling a lot better compared to previous BlackBerry smartphones. AT&T and Amazon, the only two places where you can currently get a BlackBerry Priv smartphone in the US - excluding the company's own stores - still have the BlackBerry Priv in stock. Check out our BlackBerry Priv review for a detailed analysis of BlackBerry's first Android-based device. Nice to see that the Priv is in such high demand. The more outlets that become available to purchase the Priv, the more the demand increases, it seems. Yeah, but this will not be enough to shut the doubters/trolls on this site up. Believe me, I know. They will always find something to hate on concerning BlackBerry. I'm actually amazed at how well the Priv is selling, considering the price tag. I guess more people wanted an Android powered BlackBerry than I thought. Can you blame people for not taking this seriously? http://www.phonearena.com/news/BlackBerry-once-again-is-sold-out-of-the-BlackBerry-Passport_id61356 http://www.phonearena.com/news/BlackBerry-Z10-sells-out-in-India_id54570 http://www.informationweek.com/mobile/mobile-devices/blackberry-q10-sells-out-in-london-store/d/d-id/1109737? And at the end of the day we all know how "well" those sold. Just because something sells out doesn't mean it's a major seller as we don't know how many were produced. If they are barely making 1,000 a month and sell out, that's awful no matter how one looks at it. So until BB gives us the concrete numbers this anecdotal evidence means nothing. Praise =/= Sales The Galaxy S6 Edge was praised for its design and new page for Samsung, but failed to reach targeted sales numbers. The new Tomb Raider was praised and got great reviews but financially bombed selling less than 200k for the entire month of November (to put that in perspective the original sold a million two days). I never said anywhere that the device was bad or not a good phone. I'm just stating that this doesn't mean that the phone is doing well but is anecdotal evidence that follows a trend for Blackberry devices, and without final numbers it is impossible to say if it is a success or not. Hell, the Surface RT sold out at launch and we all saw how amazing of a device that was for Microsoft. I'm pointing out that is anecdotal and until firm numbers are provided we cannot say that it is a success as we don't know the supply of the device. So no, "such evidence" isn't convincing since it's not evidence. And yes, I'm obviously on you, because this was a new story on website I frequent and I saw a comment that was making a statement that I disagreed with. It's obviously about you, yup that's it. See comment #10. You're pointing out "anecdotal" evidence because you don't like BlackBerry. Your comments here on PA about BlackBerry are usually negative, even when I've posted links to the contrary. And yes, you're "on me". You could have very easily made your comment without replying to mine. This is not the first time you've done this. You and I obviously don't agree on anything, nor have we ever "gotten along". I don't actively seek out your comments to reply to them, so how about you do the same...Unless, of course, you're really "on me". That's what a debate is. When someone says something you disagree with, you supply evidence and information on why that was incorrect. That's what I did. I point this out for several devices in the past, be it Apple, BB, Windows, or Android. I have an iPhone, a Q10, and G4 (with Z5 on the way) and switch it up all the time. I didn't actively seek out your comment it was there and I was posting out the fallacy in your statement. Get over it. You may think you're hot sht and that's why everyone is on but you're not, in fact, you're pathetic and instead of admitting we should wait for final numbers as I have stated multiple times you continue to grasp with information that isn't evidence but instead anecdotal at best. We don't know how many were sold. We don't know how many were produced. We don't know what the break even point is for the device. We don't know how well AT&T is selling it. We can't say it is ansuccess or failure like I've said multiple times. Selling out and being unavailable does not make the product a success. The Galaxy S6 sold out at launch, especially the edge and yet was not a success for Samsung. You are not the hot sht you think you are. You are not always right like you think you are. In fact, you are nothing but a person on a forum that acts like a child when called out and given information that disagrees with his post. You constantly move the goal post or change the subject when presented with evidence that you don't like and you are the first poster to jump on an BB article because of how pathetic your life is that you feel the need to validate your fanboy like admiration for the product. You're not a genius. You're not right. You're not important. Get over it. I know that a debate is, but why debate with each other when it's obvious we don't like each other? It's a waste of time. You point out positives for devices that you like, and negatives for the ones that you don't. There was no "fallacy" to my statement. I've stated on previous articles that we should wait for official numbers, but I can also pass reasonable precursitory judgement based in the limited information available. Had your reading comprehension been up to par, you would have seen that I have already stated that we should wait for official numbers before rushing to negative conclusions. And yes, you saw it was me that was commenting, and couldn't wait to jump on me. It's what you do. It's actually pathetic that a grown man (I'm assuming) would be so "on" another grown man the way you're on me. Reports from multiple sites say they have sold out despite us not knowing official numbers. True, we don't know how many were produced, but we do know that what was produced has sold out. True, we don't know how well it's selling on AT&T, but Canadian carriers and European carriers have reported it's selling well. Post the link where I said it's a "success". I'll wait....I simply reiterated what other sites are reporting, and you really seem to have a problem with that. I wonder why? You aren't hot sht either, nor have I ever claimed to be that. That's you're assumption of me. And you know what they say about those who assume..... You are also just "a person on a forum". Aren't we all? And whenever someone "calls me out", I always supply links to back up my statements. I don't care if you disagree with me (you especially, as you are less than nothing to me), but I'm not going to stay shut when you "challenge" me. If you have I problem with that, I really don't care. I don't do "move any goal post", nor do I "change the subject". I just constantly supply evidence to back up my claims via links. YOU, on the other hand, seem to have a personal problem with me supporting BlackBerry, as evident by your childish rant, so that would make you even more pathetic than you claim I am. Somewhere along my tenure here at PA, I must have really touched a nerve deep in your gut. Poor, pathetic you. Now you're throwing a tantrum like a spoiled child that got his pacifier taken away from him. You're a child. You're a spoiled brat. You are insignificant. I really don't care if you "get over it" or not. Sigh, I'm done. Everyday you get into an argument you selective choose what is important and constantly move the goal post. Most of the time it devolves into personal insults and you just try and belittle the other person and when they lash back out you call them a child and say they are having a tantrum and that they are all up on you. So I'm done. You repeatedly show how much of a porch monkey you are and seriously make me question the BLM movement. If your done, then why do you keep responding? I don't get into an arguement "everyday" on this site, as I don't even comment on this site everyday. But don't let the truth get in the way of a good story. I "belittle" those who "belittle" me, as you have done in this very article, so I returned the favor. Let me put this another way for the mentally deficient, such as yourself, you racist prick: Bye Felicia! And since you've shown your racist colors, don't respond to me again. Racism is a tool of the weak, and I do not converse with weak racists such as yourself. Straight reported you racist prick. WRONG. He called me a "porch monkey" and then said that I "seriously make him question the BLM movement". BLM stands for "Black Lives Matter". So yes, there is something racist in his comment. He knew exactly what he was saying when he said it. BLM stands for Black Lives Movement so he was definitely calling MG a porch monkey which is a racist term. Get a clue already. Well to be fair The Rise Of The Tomb Raider game bombed because the idiots thought it would have been a great idea to release the game on the same day Fallout Freaking 4 came out. I still haven't been able to put the game down, my Tomb Raider game hasnt even been played yet. 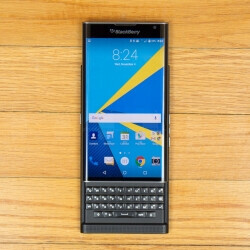 http://www.thestreet.com/story/13394187/1/blackberry-bbry-stock-soars-priv-sold-out-at-wal-mart.html http://www.phonearena.com/news/BlackBerry-Priv-sells-out-on-Amazon-U.S.-in-just-hours_id75648 http://thevillagessuntimes.com/2015/12/11/blackberry-priv-sells-out-at-walmart-and-best-buy-stock-rips/ Some pretty strong "anecdotal evidence", I would say. Linking two stories that are the exact same as this and one that is pretty much the exact same as what happened with the Passport doesn't prove your point. Do you even know what anecdotal evidence is? We don't know how many were sold and I never said it was selling poorly. Stating "it's selling well" is hard to determine as we don't know the supply for it to be sold out. You're literally ignoring that fact just to put your fingers in your ears and go "lalalala it sold out. It sold out. It sold out." But we have no idea how many there were initially to sell out of. You then try and counter the point with praise topics hat have NOTHING to do with the discussion at hand. The LG G4 was praised and one of my favorite phones of the year but financially tanked and was not a big seller for LG. It proves that it's selling out. Isn't that what the article is about? Of course I do. DO YOU know what anecdotal evidence means? I'm stating its selling well based off of the information gathered from a number of places selling the device. It's called an "informed decision". I'm not ignoring anything, nor are my fingers "in my ears". They're in a virtual keyboard as I type this message. And even if it were 20 devices on any given site and they all sold, that would constitute a "sell out", wouldn't it? I posted the information of praise to lend weight to information of the Priv selling out. Multiple sites are reporting how good it is, some even saying its one of the best handsets launched this year. Consumers generally go by what they read or have heard about something, and base their decision to buy it on this. If multiple sites are praising it, and multiple sites are reporting its "sold out", it's one can draw a reasonable conclusion that people have heard or read how good the device is, and thus purchased one. The "multiple sources" are all using information from the same source, you might as well link just this page. The "it has praise and is selling out, therefore it is selling well" is a failed argument. The Galaxy S6 and S6 Edge had praise, sold out, but failed to meet expectations and did not sell well. You're making assumptions and leaping to conclusions based on circumstantial evidence with that circular logical fallacy. That's akin to saying "he was in the area and had blood on him therefore he's the killer" when he could have been out for a jog and fell down a hill causing the blood. I'm not saying that it isn't selin well, no where have I said that. I'm saying that we should wait for numbers before making a jump to that conclusion. The multiple sources that I'm referring to are BlackBerry's own site, Amazon, Walmart and BestBuy. As I said, if the device sold all of an extremely limited supply, it still constitutes a sell out, and you can't judge BlackBerry's expectations on Samsungs expectations. Both have a different goal concerning handsets. I'm passing judgement based on the information available. That's not "leaping" to conclusions, it's going off of information that's available. I have also stated that we should wait for official numbers as well on past BlackBerry articles, but it's reasonable to make a precursory conclusion based on the information available. It's less about that and more about the fact that though BB has a fervent fanbase, it is a small one. They are likely to buy the phones most within the 1st 2 months or so. Sales will drop off after that, naturally. When we see some official numbers then I will be convinced. A few of something isn't a good indicator of anything. But the fact that they sold out of stock means that sales exceeded their expectations. Also the 10% jump in stock is a hopeful sign of a potential turnaround. We all know you'll never be content with their numbers because you will always compare the demand for BlackBerry phones to industry leading devices. It'll in no way be able to compete with them, but if a profit is made off of this phone then it'll be a success for BB, even if the margins are small. And I hope they do turn around. Despite what you want to believe, I actually don't want to see Blackberry go away. Competition is good. I've compared Blackberry Ptriv to the MXPE and the 6P, they aren't exactly industry leading. They're more niche with a dedicated fanbase. I just want Chen to be transparent with the numbers and not try to insult our intelligence. The Priv also just recently became available again at Amazon. It's been selling out consistently there.